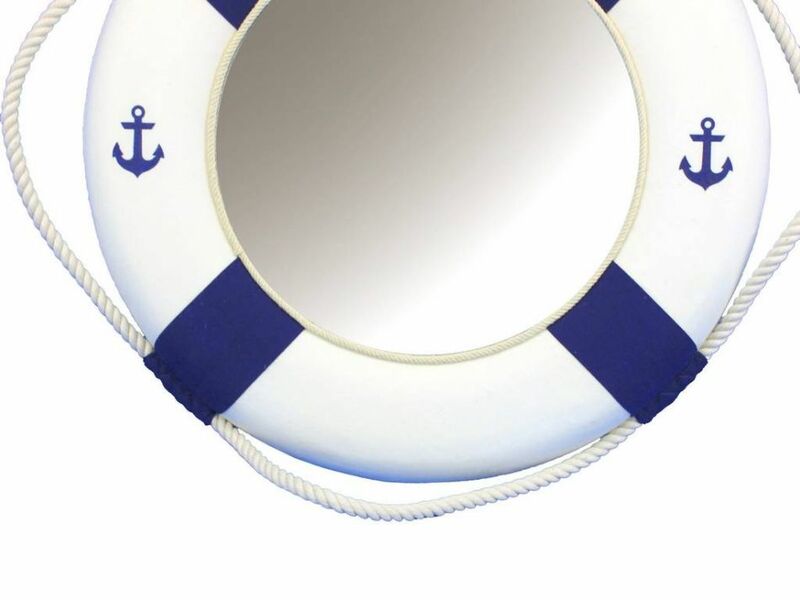 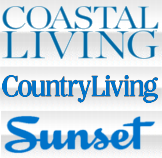 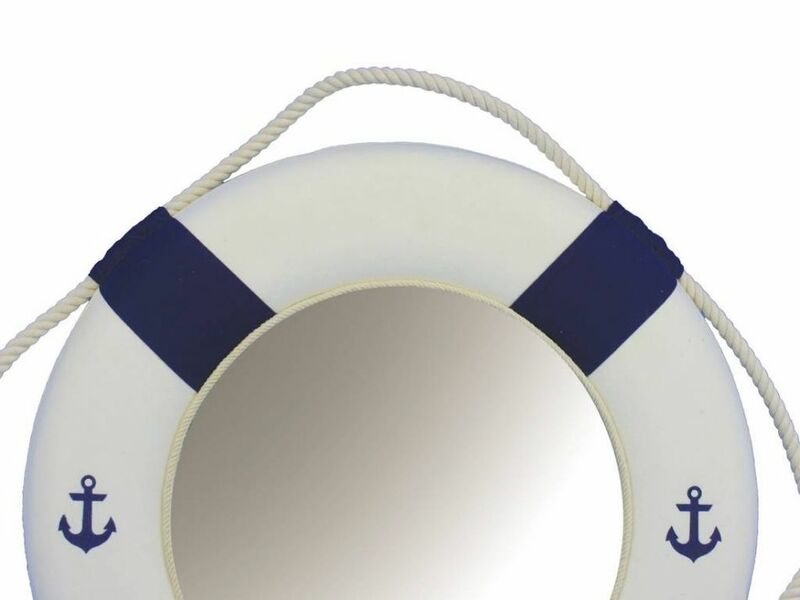 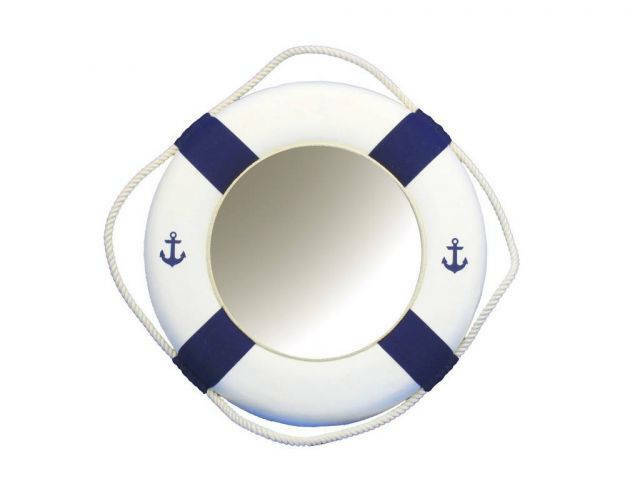 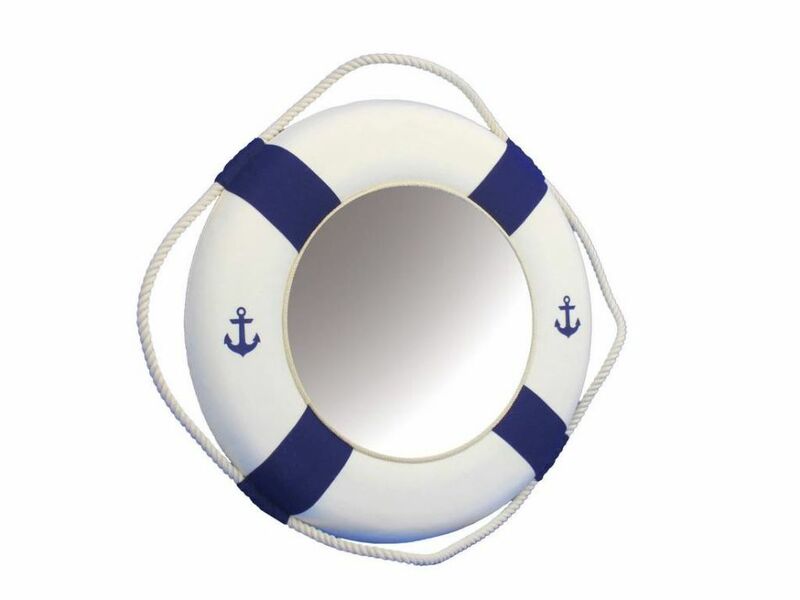 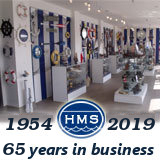 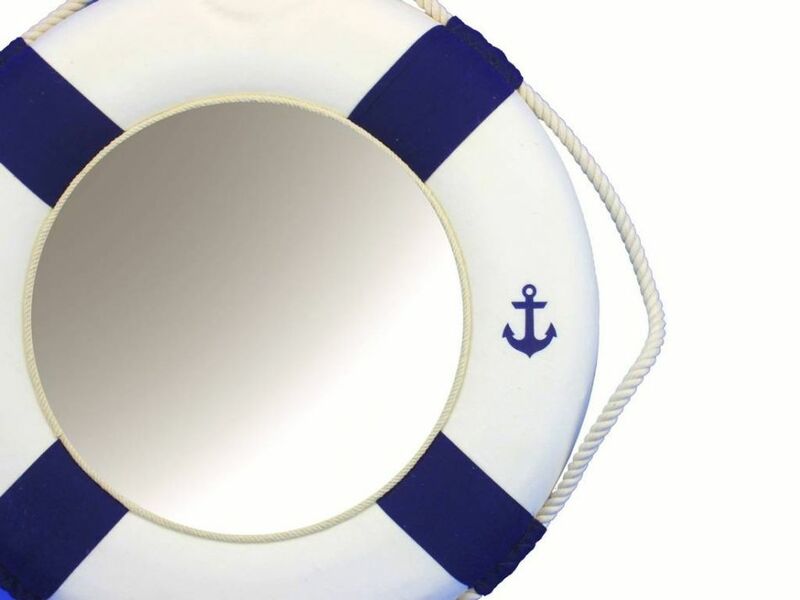 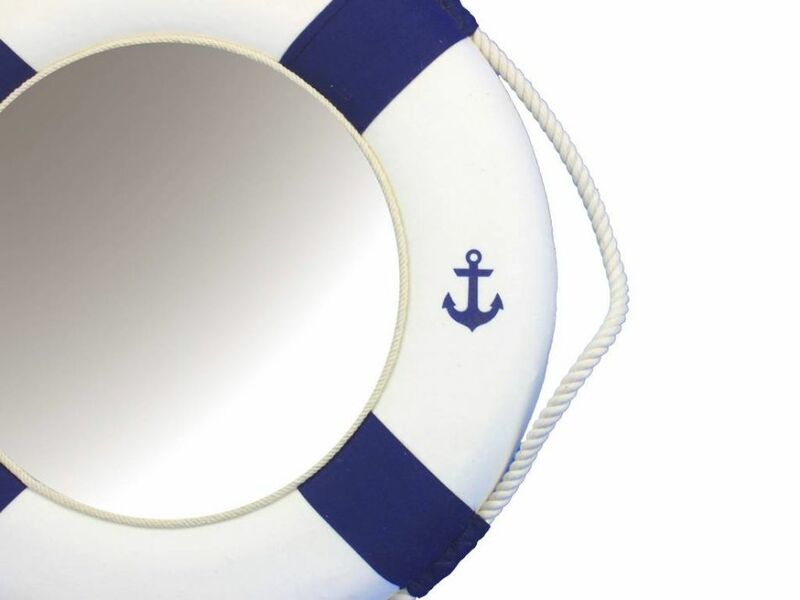 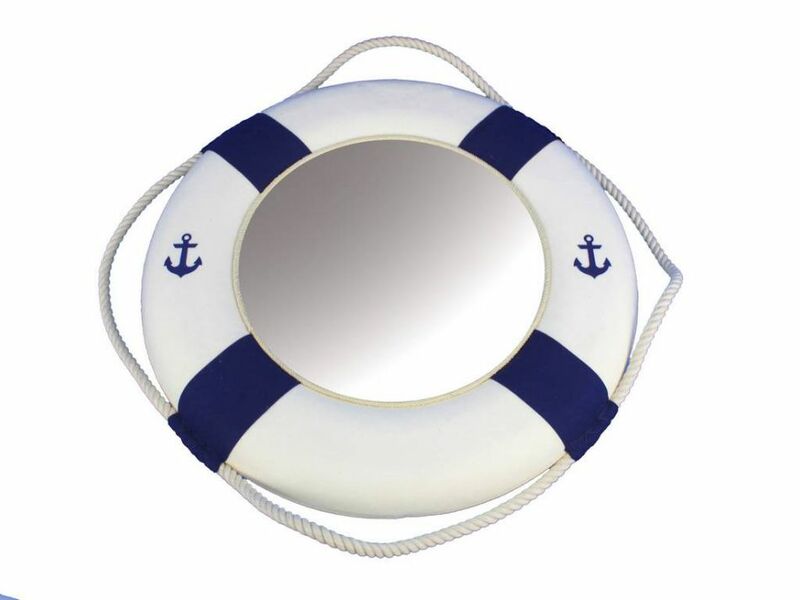 Classic White Decorative Anchor Lifering Mirror With Blue Bands 15"
The Classic White Decorative Anchor Lifering Mirror with Blue Bands 15" is the perfect nautical accent to add to your home, office, or pool area. 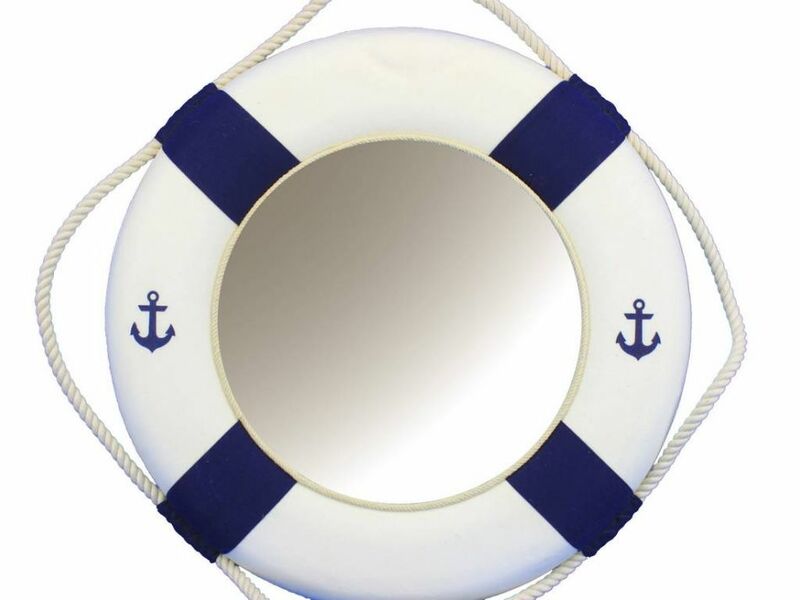 Blue canvas straps are featured to accent the white lifering displaying blue anchors. 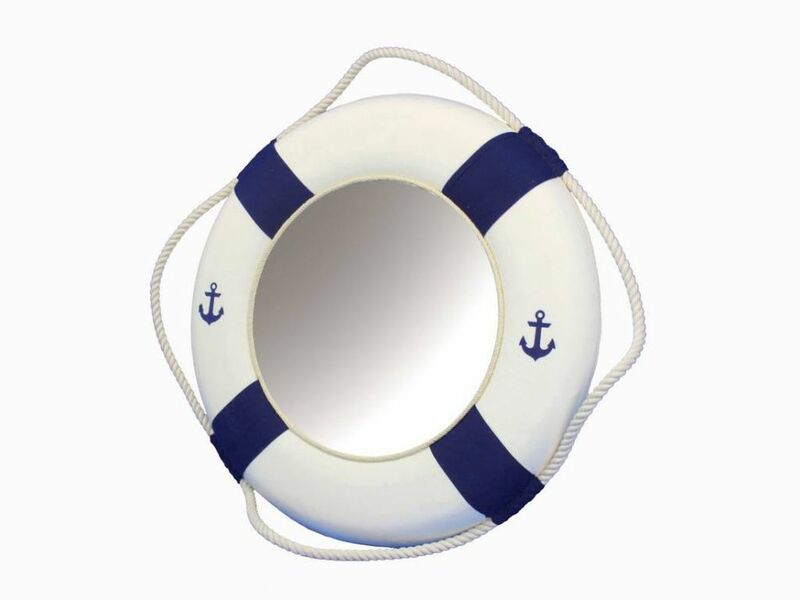 Lightweight styrofoam construction makes the large 15" lifering easy to hang anywhere so you can bring that nautical ocean feel into the comfort of your own home, office, nautical clubhouse, or poolhouse.